Along the Vigezzina-Centovalli railway line Autumn erupts in a blaze of golden colours reminscent of an artist's palette. All on board! We are about to leave! The train master blows his whistle, the doors close, the locomotive moves away from the station dock while I settle down in anticipation of the sight ahead. I look out the window eagerly awaiting the scenery which never disappoints, especially in Autumn. All because this mythical little train, the “trenino delle Centovalli” travels through one of the most beautiful natural environments in Italy along a route connecting Piedmont with Canton Ticino: 52 kilometres of railroad between Italy and Switzerland, a journey that takes about two hours at moderate speed allowing you to absorb at leisure the beauty of the scenery. The ancient railway, a masterpiece of engineering, was inaugurated in 1923. 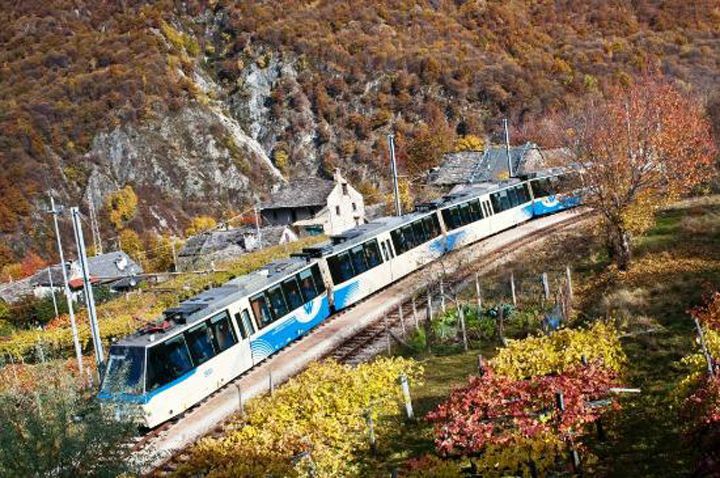 It is actually a railroad with a narrow gauge track and, since it operates 365 days of the year, it provides a variety of different emotions in accordance with the changing seasons. Comparable to the images seen in films, scenes of uncontaminated nature appear on the window screen: characteristic villages, bell Towers and chimneys, fields and streams, waterfalls and bridges all spanning the deep valleys. The woods are the single most outstanding feature, which, at this stage of the year, proudly flaunt their intense, lively, and bewitching colours. 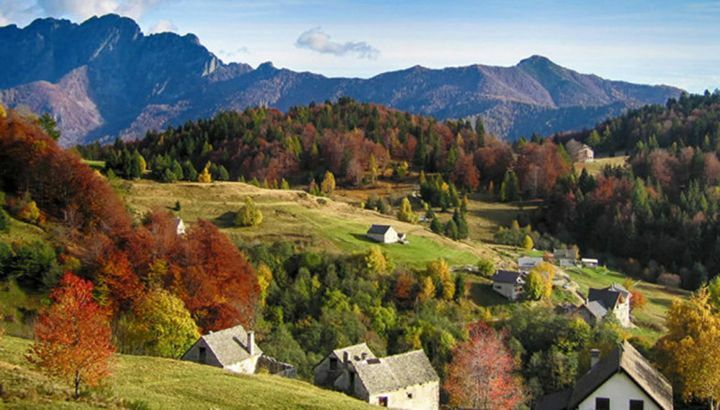 The miracle repeats itself every year in October: the leaves on the trees turn into a kaleidoscope of warm hues, a dazzling riot of golden shades with such a regenerative capacity that Vigezzo has acquired the nickname of the valley of painters or rather “valle dei pittori”. 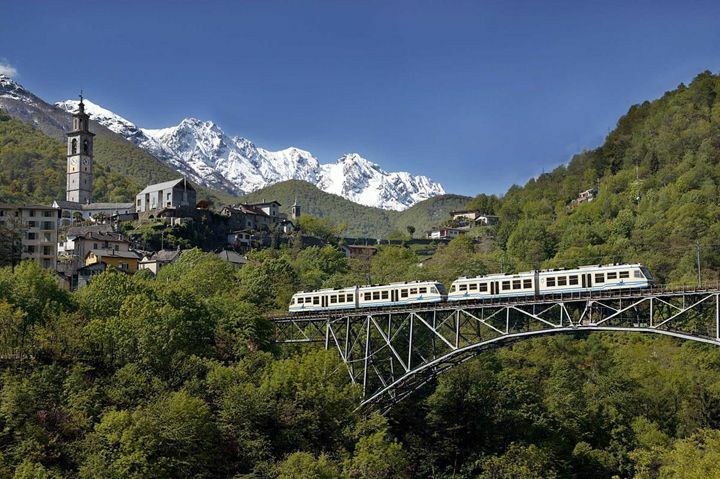 Once the station of Domodossola has been left behind and the river Toce has been crossed by means of a metal girder bridge, the train begins to climb uphill past sunny slopes and vineyards. I immediately catch a glimpse of the medieval tower of Creggio as the locomotive traverses woods of beech and chestnut trees, enters natural tunnels and proceeds along stone viaducts. The train stops briefly at the stations of Coimo, Druogno and Santa Maria Maggiore and eventually at Re, where there is a striking and picturesque santuary dedicated to Our Lady of Precious Blood, the “Madonna del Sangue”. It continues further down the slope towards Switzerland through the wild nature of “Parco della Val Grande” and beyond the border as far as the shores of Lake Maggiore. 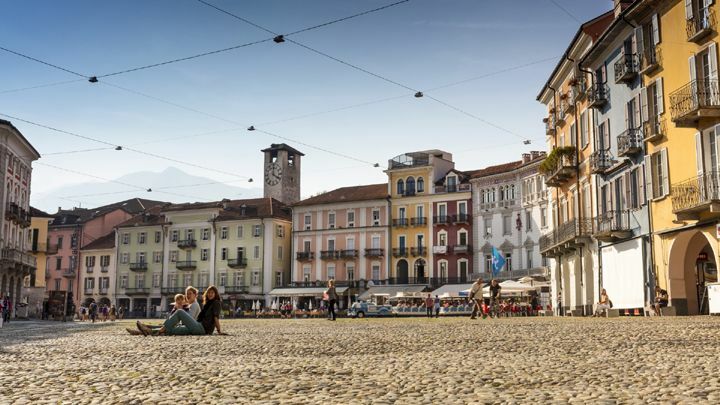 The line ends in the elegant little city of Locarno, a very popular tourist resort, particularly well-known for its International Film Festival. As to how to spend the day, there is a wide choice of things to do: You may stroll around the porticoes of beautiful Piazza Grande or take a walk by the lake, visit the Castello Visconteo or the Pinacotheca in the wonderful building called Casa Rusca, or alternatively you could get the cable car to reach the Sanctuary “Santuario della Madonna del Sasso” in a matter of minutes, from where the view of the city is spectacular. 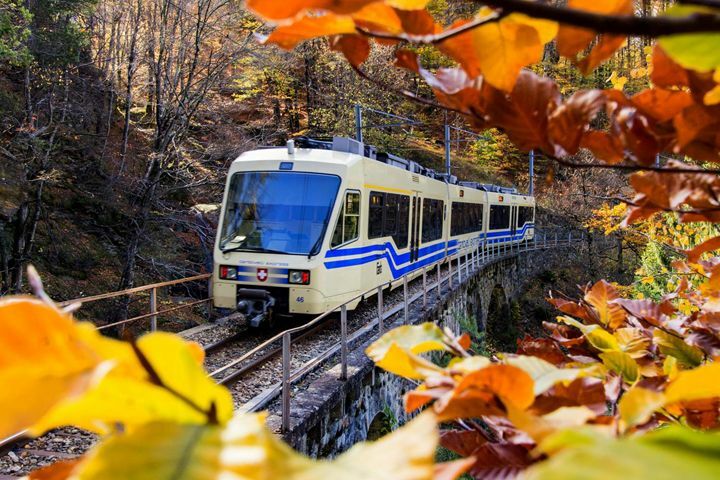 When the light of day fades and evening sets in, the historic little train is there in the station waiting to take us back to Domodossola, making its way once again through the valley amid the spectacular foliage at sunset.